We don’t want #tescolaw #stobarts one size fits all Law we need the Legal Help of Specialist and Niche Firms. 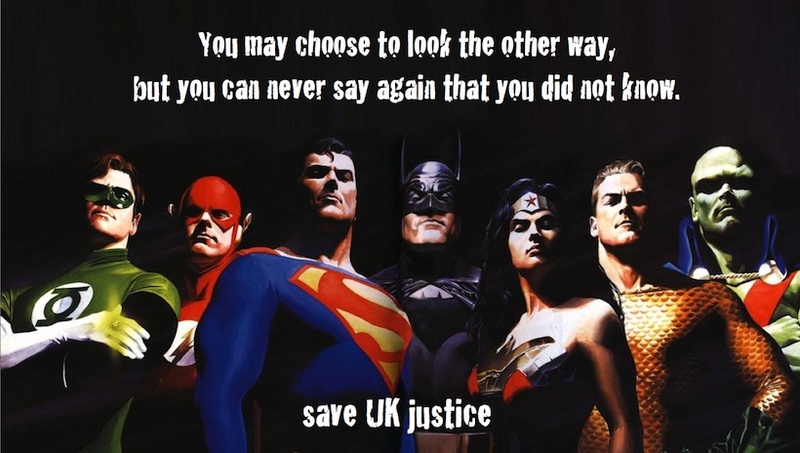 Failing Grayling is the biggest enemy of Justice & the State. Very soon an individual will be able to be investigated by G4S police staff, prosecuted by a G4S prosecutor (without access to legal aid), in a G4S Court, before being taken in a G4S security van to a G4S prison, to be locked in and mistreated by poorly paid G4S Prison Officers and rehabilitated and mismanaged on release by unskilled G4S Probation Officers (probably while having restricted access to welfare or being creamed and parked on an A4E work programme). This is madness and nothing to do with saving money or cutting crime!! We need to stop this man before we have no Justice System left. Heres my own offering: We Must Stop the Murder of Probation by the Minister Intent on Breaking Justice! This entry was posted on May 21, 2013 by ilegal in justice, Video, WordPress and tagged Atos, austerity, CAPITA, chris grayling, crime, criminal, cuts, G4S, graylingday, laspo, legal aid, save uk justice, saveUKjustice, stobart.